Sign Types - Sign Company in San Francisco, Oakland - Golden Gate Sign Company, Inc. Your top San Francisco Sign Company, Golden Gate Sign Company designs and manufactures many different sign types for clients across a spectrum of industries. We employ a trained and enthusiastic sign fabrication staff who will meet with you to learn your signage requirements and design and fabricate the signs that showcase your company's intent and brand identity. Our company is based in Oakland, and we proudly serve the signage needs of businesses throughout Northern California’s greater bay area. 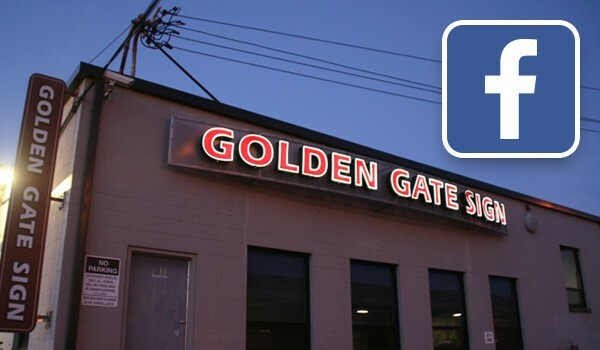 Spanning over 3 generations of dedicated family owners since 1969, Golden Gate Sign Company is your source for all of your comprehensive sign needs. No matter if you're looking for interior signage, exterior signs or custom displays, you can be sure that our company offers the selection as well as maintenance and repair solutions you need. We design and fabricate virtually any sign type for commercial establishments, private organizations – any business in need of interior or exterior signage. Choose your preferred type of sign or work with our expert design team to discover the best option for your company. Digital Signage: Turn to Golden Gate Sign Company for the distinctive digital signage that your business needs. Channel Letter Signs: Our company manufactures both illuminated and non-illuminated channel letter signage. Neon Signs: Bold and distinctive neon signs are a top choice for businesses. Projecting Signs: Help your company help your company's name stand out - literally. LED Signs: Light-emitting diode (LED) lights are both attractive and energy-efficient. Architectural Signage: Golden Gate Sign Company designs and manufactures architectural signage for installation on your façade, free-standing displays and more. Monument Signs: Golden Gate Sign Company's monument signs direct clients to your door in style. Printed Graphics: Let our Graphics staff design and create the printed graphics that will showcase your name and message. Directional Signs: All directional signage that we manufacture is ADA-compliant. ADA Signs: Trust our company to manufacture the ADA signs that your business needs for safety and navigability. Pylon Signs: Pylon signs are one of the most popular sign types that we design and manufacture. Electronic Message Centers: Digital message centers create the opportunity to change messaging in an instant. With a comprehensive variety of sign types and customizable service, Golden Gate Sign Company is the sign company equipped to meet your every request. Fill out our FREE, no-obligation estimate or call us today to learn more.